Download a copy of the 2017 – 2018 Action Plan here (PDF). 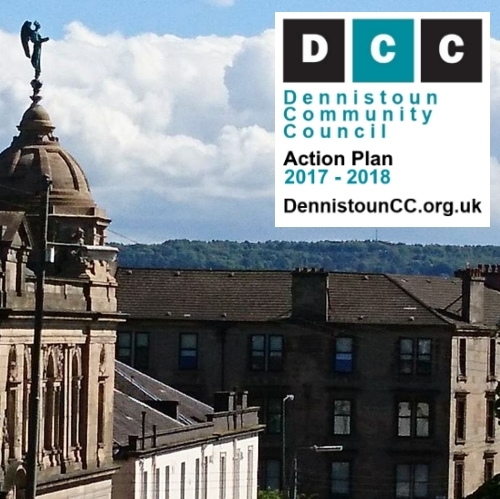 The DCC Action Plan is a list of intended projects or actions that have been identified as specific activities that DCC is currently engaged in, or may seek to develop in the future. It has been developed following discussion and input from residents. It takes into account the skills, expertise interests, and resources of community councillors. Download a copy of the superseded 2011 – 2012 version here (PDF). Download a copy of the DCC response to the LDP here (PDF). 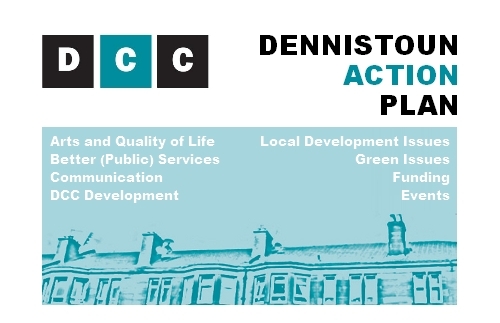 Dennistoun Community Council (DCC) took the opportunity to respond to consultation on Glasgow City Council’s (GCC) draft Local Development Plan (LDP). The LDP will guide future development and investment across Glasgow and, on completion (scheduled to be in 2014), will replace City Plan 2. Download the GCC Main Issues Summary Report postcard booklet here (PDF). 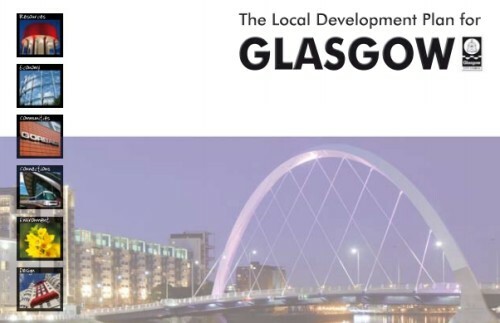 DCC responded to almost all of the issues highlighted in the draft LDP and noted potential for using the finalised LDP to help ‘re-balance’ the city – with appropriate investment in Glasgow East and a need to support social and economic regeneration in the local area, opportunities around improving Dennistoun’s role as a local town centre, and the potential for improvements at Bellgrove station (linked to High Speed Rail, etc).